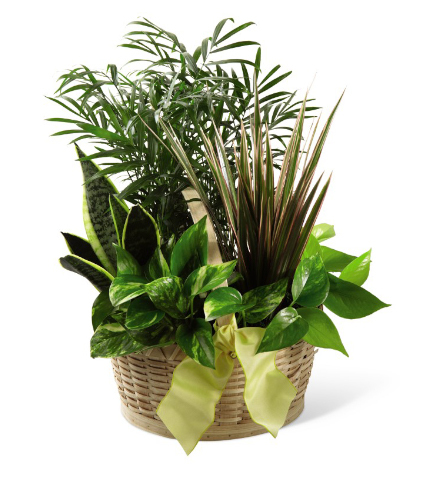 Celebrate life’s precious moments with the FTD® French Garden™. Presented in a natural woodchip basket with a handle and adorned with a yellow taffeta ribbon, this lovely dish garden includes an exclusive assortment of six green plants. Plants make a lovely lasting gift and this charming garden is the perfect way to say Thank you to a friend or to send Get Well wishes across the miles.